SpaceX’s McGregor facilities in Central Texas were rocked this Sunday as a Merlin engine exploded during testing. Two of the facility’s test bays were damaged, but nobody was harmed according to SpaceX. Nine Merlin engines on the Falcon 9’s first stage. An explosion on Sunday (November 4) rocked SpaceX’s rocket-development facility at McGregor, Texas. 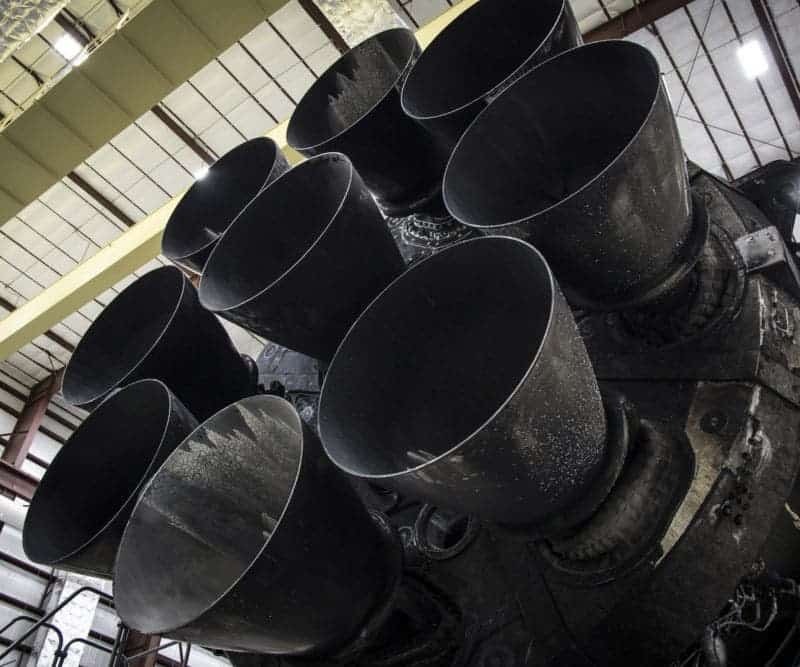 The engine in question is being developed for the Block 5 version of SpaceX’s tried-and-true Falcon 9 craft. The explosion occurred before the engine was lit, during a procedure known as a LOX drop. The step involves pumping liquid oxygen through the engine to check for potential leaks, and an unknown event caused the liquid within the rocket to ignite. Being an engine-in-development, the company is confident that its current launch manifest won’t be affected by the event. Three to four more launches are planned for this year (and the start of 2018), all of which will be powered by the Block 4 and an earlier version of the Merlin. Nobody was hurt in the event, but it did damage the facility. 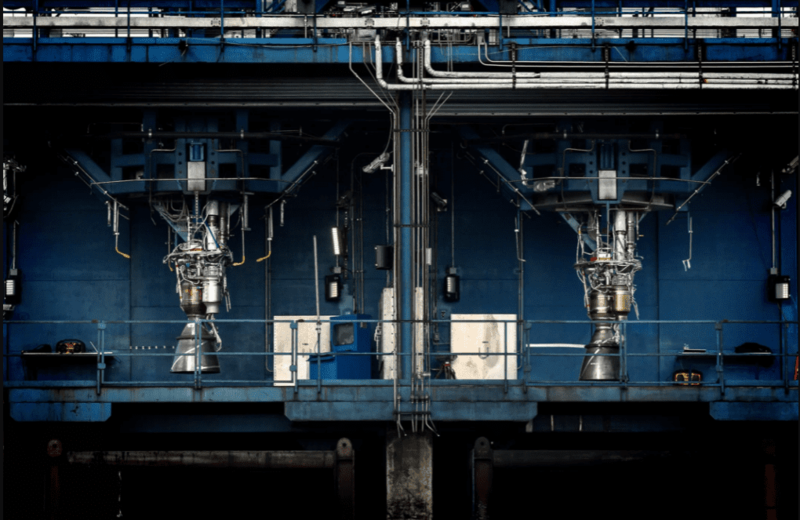 SpaceX has three engine test stands in use at McGregor: one for the Merlin line of engines, one for the newer and more powerful Raptor, and one dedicated to upper-stage engines. Both bays of the Merlin stand were damaged. SpaceX said one of them should be up and running within a couple of days, while the other may require up to four weeks of repair works. Two SpaceX Merlin 1D engines on a test stand at the company’s facility in McGregor, Texas. If repairs on the first bay go as planned, the company should be able to continue “acceptance testing” for its Block 4 Merlin engines. This represents the penultimate test before a rocket is assembled, shipped to the launch site, and the entire booster undergoes a static fire test on the launch pad. The Block 5 variant is expected to improve the Falcon 9’s overall performance, in particular making it simpler and faster to re-use. It’s also this variant that Elon Musk plans to use for commercial crew flights, the missions which will ferry NASA astronauts to the International Space Station. Needless to say, SpaceX has a lot riding on the Block 5 working properly, and on time. A maiden flight hasn’t been announced but was widely expected to take place at some point in 2018. However, testing of the Block 5 Merlin engine will be suspended until the cause of that ignition is found and fixed. SpaceX anticipates that a full investigation into the incident will take several weeks, which may delay the debut.